The 58 AERO wheelset, voted wheel of the year for 2013, is ideally suited to triathlon, road riding, racing, and training: allowing riders to move at faster speeds with total confidence, while exhausting less energy. New in 2014 – the 46 AERO. The 46 mm is Reynolds’ signature rim depth because it provides optimal aerodynamics across every discipline. 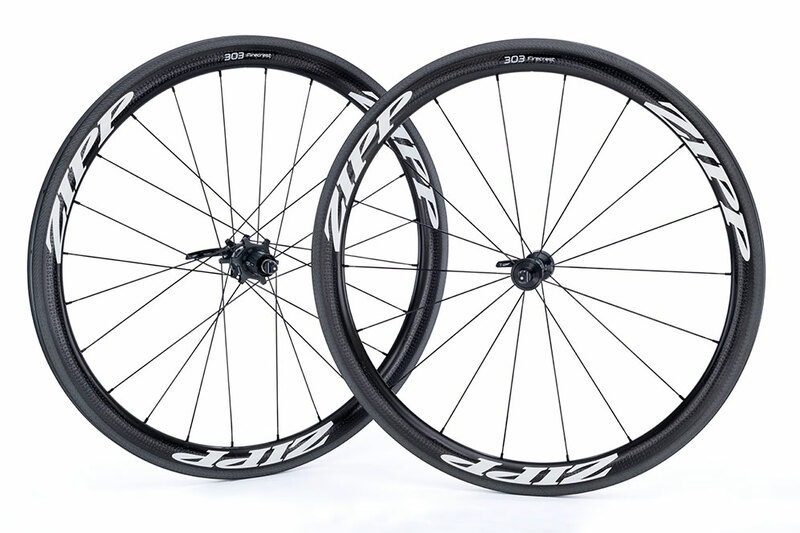 The eagerly awaited AERO 46 is the best all-around wheel on the planet. Equally at home in a criterium, road race, time trial or even a ‘cross course, the 46 AERO dominates in group or solo efforts. The lightest and shallowest wheel in the Performance line, it is designed to do exactly as it’s name implies, attack, especially when the road points skyward. The ATTACK offers a tubeless-ready 25mm cross section to support the trend toward wider tires, ensuring a better tire profile and a more supple ride. Weighing in at a scant 1,365g, this precision carbon wheel set is more than light; it’s stiff, responsive and an absolute joy to ride. Because from the moment the first prototypes made the rounds at ENVE, it’s been the house favorite. The SES 4.5 rounds out the Smart ENVE System wheel line as a true mid-depth everyday cycling race wheelset. Additionally, the SES 4.5 features a refined shape and construction that yields better acceleration, cornering, impact resistance, and weight savings. Customize your today. Zipp’s original 303 made history by becoming the first carbon wheelset to win cycling’s two most famous Cobbled Classics, Paris-Roubaix and the Tour of Flanders. The 303’s wider rim provided extra durability, and improved aerodynamics. That wider rim also led to the development of our revolutionary Firecrest® platform platform that further reduces aerodynamic drag while increasing crosswind stability. The 303 Firecrest is a go-to wheelset for the pros of Boels-Dolmans, AG2R LA MONDIALE, Axeon Cycling and others. The Zipp 202 Firecrest Carbon Clincher is all about aiming higher. Zipp took the classic 202 wheelset - the legendary climber’s companion - and transformed it into a stiff, lightweight and aerodynamic speed weapon ideal for every road you travel. That’s the power of Firecrest and Carbon Clincher technologies. At 1380g, the new 202 is the lightest entry in the Firecrest Carbon Clincher lineup. The Zipp 202 Firecrest Carbon Clincher retains the classic 32mm rim depth of its predecessor though, with the Firecrest profile, now has a wider 25.4mm max rim width. The results redefine what’s possible with a do-it-all classic road wheel. Zipp’s two most profound wheel innovations, the Firecrest rim shape and Carbon Clincher technology, form the foundation of the new 202 Firecrest Carbon Clincher. Firecrest rims have a near-constant width from brake track to spoke bed to improve aerodynamics and better control airflow. Zipp used Computational Fluid Dynamics software analysis to maximize aerodynamics and minimize wind-produced torque, resulting in a 202 Firecrest Carbon Clincher that is faster and better handling than a classic road wheel. The Firecrest rim shape improves stability by moving the wheel’s centre of pressure to sit almost directly over the steering axis, where wind-produced steering torque has a minimal effect. Now, add to that the Carbon Clincher technology. Zipp's exclusive resin, based on materials used in motorsports braking systems, effectively tolerates the incredible spikes in heat caused by braking to provide you with reliability and stopping power. Combine that with the Tangente Platinum brake pads and you have unmatched performance, all with the ease of use of a clincher. The legacy wheel of the Ksyrium Family now gets wider rims for improved ride quality and with a stepped up finish quality. Now available in limited edition, The Ksyrium Pro uses the same technology as the Ksyrium Pro SL, which has set new standards for modern wheel building. This wheel is equally at ease on fast rolling terrain or mountain courses, and for a couple of hours or an all-day adventure.